Jaipur has a hot semi-arid climate (Bsh) under Koppen's climate classification . It receives over 63 cm of rainfall annually. But most rains occur in the monsoon months between June and September. Temperatures remain relatively high during summer from April to early July having average daily temperatures of around 27.6' C (82' F) . During the monsoon there are frequent, heavy rains and thunderstorms, but flooding is not common. The winter months of November to February are mild and pleasant, with average temperatures ranging from 18' C (64' F) and with high humidity, but with occasional cold waves. 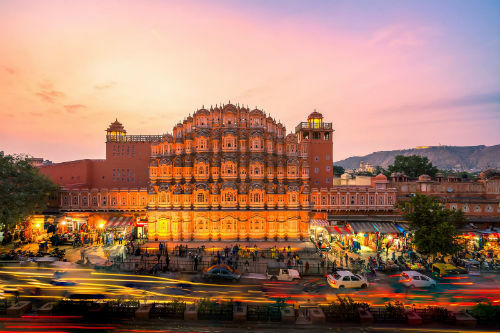 Jaipur is a high urban heat island zone with surrounding rural temperatures occasionally falling below freezing in winters.